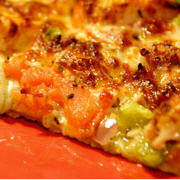 Portland Pie Company - Pizza, Apps, Fun! Portland Pie Company offers a relaxed atmosphere where you can enjoy a beer or a glass of wine with an appetizer or maybe share one of their epic pies like the "Harbormaster" with other Meetcha members! Appetizers are about $9. RSVP today to get your spot!